What is the What Books? Feature? I have so many book memories from my childhood. Different books touched me in different ways and had came to me at important times. My goal is to run this feature every other week (although life has gotten in the way lately) and featuring books that I love(d) for different reasons. Please feel free to contribute your own favorite books in the comments or post similarly on your blog and link to this. If people like this feature as it gets going, I think it might be a fun meme. I've always loved books that made me cry. There's nothing a story that pulls you in so strongly that your happiness depends upon the characters' happiness. When nothing is more important in the world than this book. Emotional books are far more memorable than plot heavy action books or serious character studies. I appreciate the latter, but tearjerkers leave a permanent mark on my heart and mind. -I first read this in 4th grade. We were on a car trip driving to Phoenix for a weekend getaway. I sobbed in the backseat for the last few chapters. I've re-read the book many times since. -I read this in 4th or 5th grade. It's another one that I've read many times. 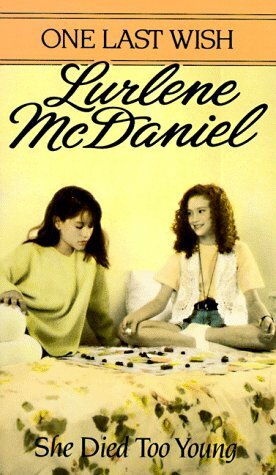 I devoured Lurlene McDaniel books in middle and high school. They were almost guaranteed to make me cry. -I loved all the books about Dawn, a teenager with cancer. -Not only will this make you cry, but it also features a cute Amish guy. Can't get better than that. I read this over and over. -I loved the One Last Wish books. This one was my favorite and probably the saddest. Some of the current crop of Juvenile/YA novels that have left me bawling. -Many of the Harry Potter books have tear-jerker moments. I sobbed at Snape's death and then his life-story. Harry Potter and the Goblet of Fire was the book that made me cry second most among the books. I sobbed at Cedric's death and when Harry had to retell the story to Dumbledore. -I picked this up because Catherine Hardwicke was at one time set to direct the movie for this book. Since it was sort-of Twilight related, it caught my attention. So glad I found it! I loved this book. I started reading the book in the afternoon and finished it at 2 AM, sobbing in the bathroom so my husband wouldn't wake up. -I loved how Before I Fall fit together. How each day could be exactly the same, yet still so interesting and unique. The ending was so powerful as Sam grew, learned, loved, and lost. -Grief and death are frequent themes of tearjerkers. Nelson's book was unusually emotional amongst a crowded field. I think it was the poetry that did it. I loved how Nelson used verse at the beginning of each chapter. It was both visually and emotionally powerful. -I wasn't sure about this one at first. It was so confusing. In fact, I put it down for a month and only picked it up because so many bloggers raved about it. Everything clicked about 2/3 through the book. By the end, it was one of the most beautiful, emotional books that I'd ever read. I connected so strongly to Taylor and cried at both her grief and her happiness. A few recent adult books I've read that brought about tears. -I almost missed a plane because I was standing in the airport bookshop re-reading the most devastating parts of this book and didn't hear the boarding call until the gate door was about to close. -I love my doggie. As soon as little Marley started aging, I started whimpering. By the time he died, I had tears rolling down my face and was hugging and kissing my dog. What books have made you cry your eyes out? I agree with so many of your choices. I loved Where the Red Fern Grows and in middle school I read every Lurlene McDaniel book and cried through every one. I also cried through many of your young adult choices as well. As for adult I cried so hard at the end of Marley and Me that I couldn't see and was gasping so hard I couldn't breath. The one that I would have to add to your list would be A Walk to Remember. I remember crying for hours after I was finished with this book but I just kept thinking about it and couldn't stop. I guess I'm probably a bad example though because I cry not only at the bad parts but also at the good. I cried so hard at Where the Red Fern Grows and Bridge To Terabithia, I read them both when I was little at school. Marley and Me was so sad, I am now scared to lose my dogs, that book was what I imagine it to feel like. My first choice would absolutely be Where the Red Fern Grows. That.Freaking.Book. It's hard being a man and thinking about it, because it really does make me want to cry, and that's just not right! Deathly Hallows is a good pick, too, though I may have been more emotionally impacted by the end of Half-Blood Prince..hmm.. hard to say. Maybe it's an even split on that one, actually. Others? I would say A Child Called It and Tears of Rage. Also, there was something about The Giver that made me enormously sad, too. I had to read Where the Red Fern Grows when I was in 5th grade. First book that ever made me cry! 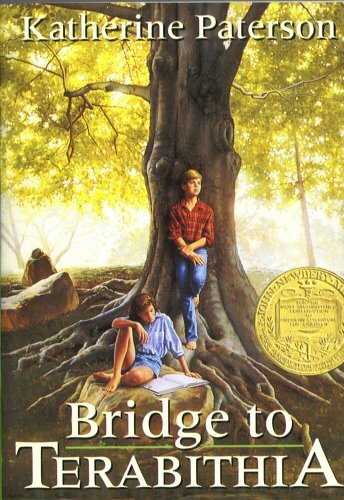 Man, I remember crying so hard when I read "Bridge To Terabithia" mainly because it came out of left field for me. I had no idea! I cried throughout "If I Stay". I remember family members asking me if I was okay while reading the book. Despite it's slim size, that book has such a strong emotional punch. I've yet to meet someone who hasn't cried while reading it. I can't wait for "Where She Went"! Just yesterday I was thinking about the really sad books that I used to read when the girl always had cancer and died and for the life of me I could not think of the author and it was bothering me so much! The next day I visit your site and it's right there-Lurlene McDaniel! Gosh, those books were so sad. I really have no idea how I was able to read them in elementary school. I don't think anyone could have read any book by Lurlene McDaniel without crying. I still even own a few of those books, they sit on the same shelf as part of my BoxCar Children collection. I definitely cried at the end of Marley & Me. 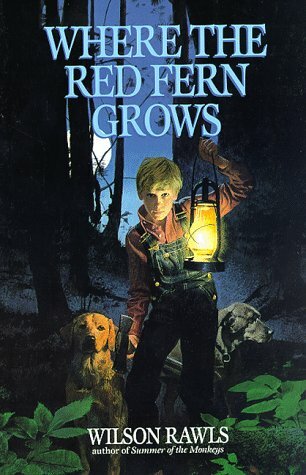 Not sure that I ever read Where The Red Fern Grows but I saw both movies and sobbed at each of them. When I read Bridge to Terabithia as a kid, I couldn't stop crying! I would just read the same part over and over and bawl my eyes out! Hmm I can't really remember having Niagara Falls happen or anything (I don't really cry that often) but I do have a list of books that have made me really upset, ok I'll admit it, there is a list of books that have caused me to cry a little or feel really depressed at points. OMG, Where the Red Fern Grows! I cried early in the book, when he showed his grandfather the money he saved over two year! Two years! Then, of course later. I recently read Jellicoe Road with my ears and had the same reaction. Confusion, then click. Plus, the performance of the reader was wonderful and I was glad I was listening cuz the tears would've gotten in the way. Harry Potter and the Deathly Hallows would definitely make my list. I remember being sad when I read Where the Red Fern Grows in high school but I don't think it made me cry. Bridge to Terabithia was also incredibly sad. The first book that I remember made me cry was The Kite Runner by Khaled Hosseini. Books don't make me cry very often. I'm more likely to cry while watching a movie for some reason. Alison, I love this feature. You've been a reader forever. I wish I could say the same. I know books have make me cry before, but I don't remember any specific ones from childhood that did. I had the same reaction to If I Stay and TTTW. Great selections. You have definitely added to my Wishlist with some of these. I've only read The Deathly Hallows and The Time Traveler's Wife. I did cry in both. I didn't think I'd cry while I read The Deathly Hallows, but when Harry finally realized what he was and decided to give up his life so that Voldemort could be destroyed, I started to bawl. And, I bawled even harder when we walked into the forest because I knew he was going to do it. I think it's the only book/series that has touched me so deeply. A children's book that I read as an adult that had me bawling was Now One Foot, Now the Other, by Tomie dePaola. A current YA book that had me in tears more than once was The Running Dream by Wendelin Van Draanen. Ooh, and The Lovely Bones by Alice Sebold...that's a tearjerker. Oh my gosh, yes! I cried my eyes out with those books you mentioned for childhood. Even just looking at the covers again brings back the urge to sob. I was a Lurlene McDaniel fanatic when I was younger. 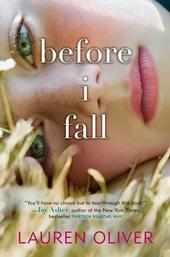 Before I Fall, The Sky is Everywhere, Jellicoe Road, And Time Traveler's Wife...All of those made me cry too. Oh gawd, I loved Bridge to Terabithia and Where the Red Fern Grows. So moving. These are all really good picks! I adore Lurlene McDaniel! She's an auto-read for me. I cried over the last 3 Harry Potter books, Rowling seemed determined to kill off my favourite characters.. And the Book Thief, the ending's so sad! And The Amber Spyglass, OMG, I cried so hard at that one! You read some pretty intense books in high school! I recently read The Midwife's Confession by Diane Chamberlain and had to take a break because I was crying. It was so emotional, I even had to put it in my review. 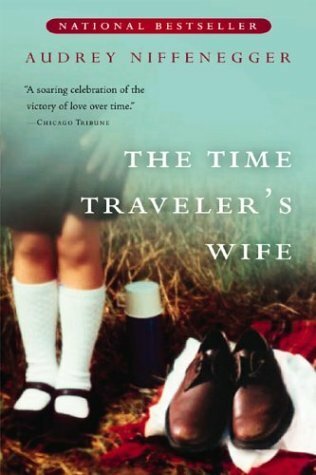 I've only actually read one book on your list, Harry Pottter (I can't say it made me cry), though I have The Time Traveller's Wife on my TBR mountain. Marley And Me I just couldn't read as I can't bear animal stories - too too sad. I was going to mention Jellicoe too! It's certainly my favourite book of all time. 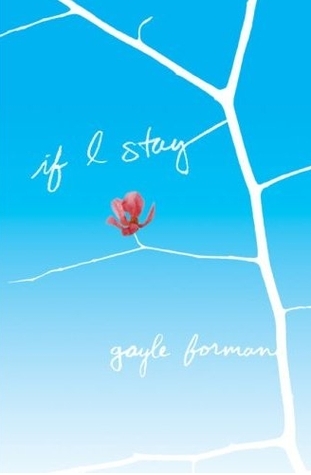 Other books to make me cry? Frostbite, Shadow Kiss and Blood Promise by Richelle Mead. Twenty Boy Summer. The Truth About Forever. Marley and Me made me cry and cry. Really enjoyed this post, and will have to check out some authors. I love you so much for mentioning the Angels Trilogy. I still have them on my bookshelf and the paperbacks are so worn, haha. I read them over and over when I was a teenager.. I just loved them so much, way more than her other books. 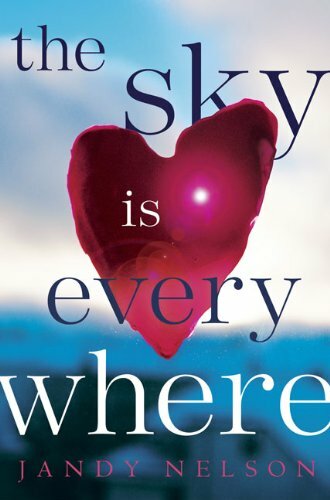 Gah, so agree about The Sky is Everywhere. That's the title that popped into my head when I saw this topic. So, so amazing, but it definitely made me cry. Oh geeze Marly & Me. I saw the movie and didn't know he was going to die :'(. My friend's response to this was "its the life story of the dog" my response "I didn't know that!" Anyway books that have had me sobbing but I still love are Harry Potter 5 and 7. I don't know what time I finished 5 but it was laaate and there were tears all over my book that I had to pause at one point cause I couldn't see the pages anymore. 7 had me crying all over that book - Dobby, Fred, others. So much people died! Just Listen and Lock & Key by Sarah Dessen both books deal with real situations and are so heartbreaking at times but I love them. Doppelganger - this was such a great book and I loved the characters so much and got so attached to them that every time one particular character reached a state of hopelessness my heart broke for her.